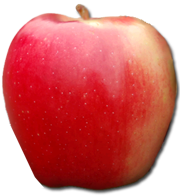 Contact Organic Ambrosia Apple Growers in BC for more information. Organic Ambrosia Apples represents the small group of orchardists in BC who are growing Ambrosia apples organically. If you have any questions about the apple, about where to find organic Ambrosia apples, what makes them a unique BC apple, or what is involved in growing them organically, please don’t hesitate to contact us.